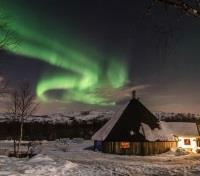 Marvel at beauty of the Northern Lights as reindeer guide you. 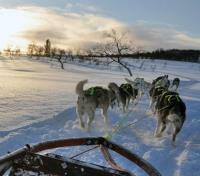 Travel through snow and ice on a dog sledding adventure. 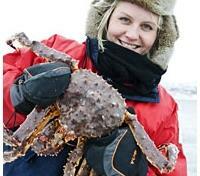 Catch, cook, and eat your own Arctic King Crab in Kirkenes. 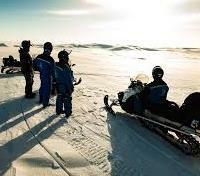 Enjoy a snowmobile excursion complete with traditional hot meals. Stay in premium accommodations, including the famous Snowhotel. Behold nature at her wintery finest with this active northern adventure through the Norwegian archipelago. Experience an otherworldly winter wonderland as you enjoy reindeer-driven sleighs rides, dog sledding, ice fishing and snow mobile trips followed by a warm fireside meal in a traditional Sami tent. Tromsø is right in the middle of the planet’s Northern lights belt, and any flare of solar storms on the surface of the sun will be spotted here! For a truly unique experience, sleep in a suite made entirely of snow at the winter-only Snowhotel in Kirkenes, and catch massive arctic king crab on the frozen fjords before feasting on the catch of the day. This trip is generally available from mid-December through to mid-April each year, to align with the weather conditions needed for the construction of the Snow Suites at the Snowhotel. Enjoy a personalized vacation that best suits your needs, developed by one of our experienced destination experts. Relax during your trip with our 24/7 support and expert local guidance. 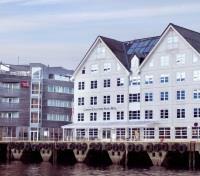 Clarion Collection Hotel With is centrally located right by the quayside in Tromso harbor. 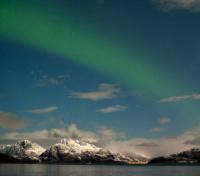 Here, you can enjoy magical views of the harbor, sea, boats, mountains and the Arctic Cathedral. Storgatan with its selection of shops, restaurants and cafés is just around the corner. Additionally, the main attractions of Tromso such as Tromso's Arctic-Alpine Botanic Garden, the Arctic Cathedral, aerial tramway and historical Skansen area are all nearby. The hotel's 76 modern guestrooms offer all the amenities one needs for a pleasant stay, and guests are encouraged to slip away to the relaxation corner on the top level for magical views of the harbor, Arctic Cathedral and the aerial tramway. Just 25 minutes from the town of Tromso by coach is the Tromso Wilderness Center, where you'll get to travel across the snow-covered ground with a team of energetic Alaskan huskies, enjoying impressive views over local mountains and sea. You'll board a sled driven by a guide, but with advance notice, and if the conditions allow it, you can even drive the sled yourself. Warm clothes are provided, and you'll be out on the trails for about an hour, followed by a visit of the dog yard to meet the adorable husky puppies! Insulated clothing will be provided for your adventure, and you'll also be served a traditional Sami meal followed by coffee and homemade cake, served around an open fire in a Sami tent. Embark on a group snowmobiling safari today at the Lyngsfjord adventure center, 75 minutes southeast of Tromso, zipping along through 18 miles of beautiful winter trails - 9 miles each direction. As you transition from 800 to 2,800 feet above sea level, your guide will lead your group through dramatic topography where reduced speed is held during certain stretches. The top point of the trail is a frozen lake, where you can speed up, and even try out ice fishing if time and weather permit! You’ll ride in pairs, and for those with a valid driver’s license, you’ll get your chance to switch between the passenger and driver positions. No previous experience is needed, and a warm meal and insulated clothing will be provided for you, in addition to coach transportation. Rather than traveling back to Tromsø between your daytime and evening excursions today, you’ll remain at the wilderness center during a mid-day break starting around 2:30pm. Help yourself to a coffee or tea in the main traditional Sami tent, and enjoy the campfire within. If you want to stay active, borrow a free pair of snowshoes and try out some independent snowshoeing around the basecamp before an included cold meal is served around 4:00pm. For dog lovers, under the supervision of a basecamp guide, you can even make a visit to the dog yard at the camp to meet the husky puppies. Your break comes to an end around 6:30pm when your evening activity starts up, and you’ll return to Tromsø around midnight. In Lyngsfjord, 75 minutes from Tromso, you'll get to experience Sami culture first hand, and go reindeer sledding! 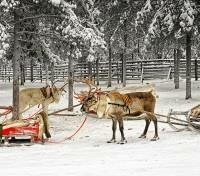 Reindeer sledding is the oldest form of transport in the north, and an ancient part of Sami culture. You will be driving in pairs, with one sled for each reindeer. People of all ages can participate in this very soft adventure. You'll learn about Sami culture and history, and even get to try lasso-throwing, the way the Sami people still today catch their reindeer when they are rounded up for marking. 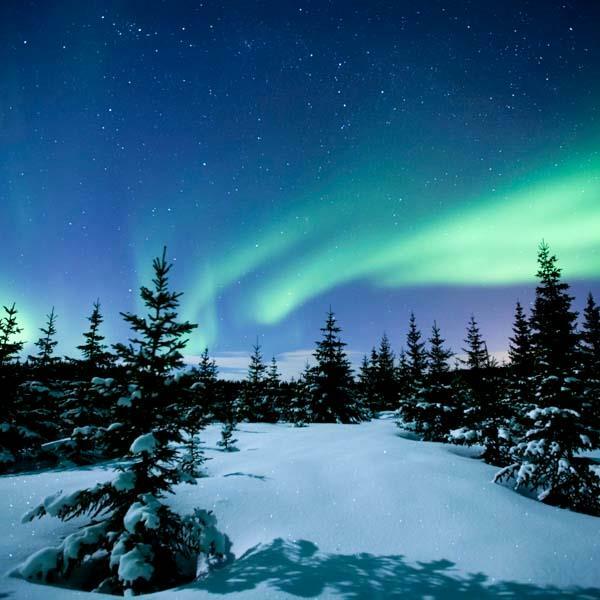 If the conditions cooperate, from November to March, a clear night sky will give you a good chance to experience the majestic Northern Lights during your excursion! For your comfort, a hot meal and insulated clothing will be provided for you, as well as group transportation. 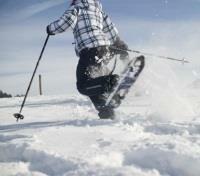 Explore the spectacular winter landscapes of the Norwegian North on a self-guided snowshoe trek. Departing by coach, you'll head to the Tromso Wilderness Center and get geared up with snowshoes, warm clothing and a map of the area with suggested routes. Along your exploration, you can hike up toward the mountains for a view of Tromso sound and the surrounding fjords, and you may even catch glimpses of some arctic wildlife! You'll trek through easy terrain, and decide how far you feel like trekking, making this a fun activity for all experience levels! Hunt for the Northern Lights from a unique and beautiful vantage point; the deck of a specially-outfitted polar catamaran. As a small group of up to 12 passengers, you'll depart from the downtown Tromso harbor and cruise in protected sea waters on a hunt for the most perfect spot for viewing the majestic Northern Lights. Be sure to dress warmly so you can spend some time gazing at the sky from the deck of the catamaran, hopefully catching sight of the Aurora! Also view the Tromso area in the beautiful Arctic winter night while you're served a traditional fish dinner on board, made with the best locally-sourced ingredients, served with warm drinks and fresh desserts. While there's never any guarantee that Mother Nature will cooperate, your experienced hosts will do their utmost to put you in an ideal position to spot this stunning spectacle of nature before returning back to harbor. 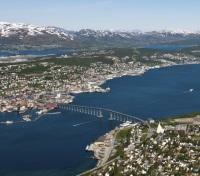 Board a flight in Tromsø with direct service to Kirkenes. Approximate flight time is 1 hour and 15 minutes. Meet your taxi driver for a private airport transfer. 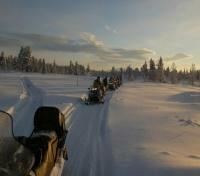 Optional: Ever fancied the opportunity to go snowmobiling in the Norwegian arctic wilderness? Here's your chance. 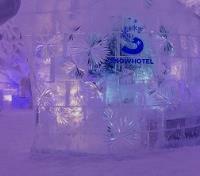 There are optional snowmobiling excursions on offer during your stay at the Snowhotel. Please note, this optional activity is not included in your itinerary. If you'd like to pre-book this activity to secure a spot, please speak with your Destination Expert. Snowhotel Kirkenes is situated 5 miles outside Kirkenes in the secluded wilds of Northern Norway, providing guests the truest sense of beautiful arctic wilderness. It's a world where you sleep in snow, walk on snow, and drive a snowmobile or a dogsled on snow. Snow is even served in the restaurant! Every room is like a small treasure, and equipped with everything needed for a comfortable night. All of the rooms have a different theme from Arctic culture or nature. Dine at Høyloftet Restaurant, featuring great food and a panoramic window with an impressive view of the fjord. The Bingen restaurant used to be a sheep barn, but is now converted to a cozy restaurant with a relaxed atmosphere for breakfast and dinner, and Gabba Restaurant is an obvious choice for lunch. The Icebar is one of the “coolest” bars in town, and serves ice cold vodka in glasses made of ice! Size matters. The red King Crab is not only the largest, but also the most delicious shellfish you'll ever have the chance of tasting. Setting out as a group, along with master guides, you'll be ushered out onto the thick ice of the snow-covered fjord by a snowmobile sledge, for a totally unforgettable experience. This is your chance to catch, learn how to cook, and most importantly eat the mysterious Arctic King Crab. One of the most sought after meals in top restaurants, and yet here, you get to eat the best and the freshest, pulled from the fjord in front of your eyes. You'll all take part in helping to saw the hole in the ice and bring up the catch. You'll get to see how the crab is prepared by your master guide, and you will be taken by snowmobile sledge (an experience in itself) to a beautiful farmhouse by the lake. It's here, by a cozy log fire, that your King Crab meal awaits. Although presentation is simple, the superb, white leg meat and claws with their particularly juicy and naturally sweet taste make this meal in a league of its own. 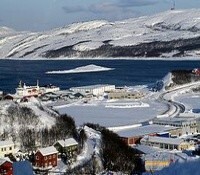 Transfers to and from your hotel in Kirkenes are included, and warm clothing and a helmet is provided.